Show off your poultry here! They are such lovely natured birds, really laid back. And BIG! About 1kg each! They look great - and so curious and alert. Will you be supplying squab? Or are these just for pets?? i got some a few years ago, they were huge, big meat birds, but every slow and cat got one or two, the ones i got were white and bigger than ones in photos. got them from the bird barn in Henderson. I'm loving your birds!! 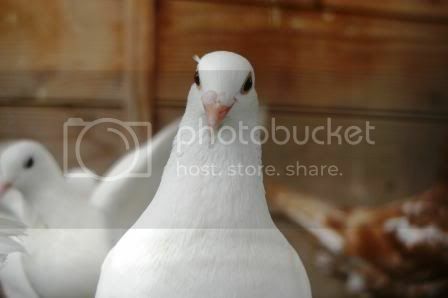 I find pigeons so pretty and attractive - and your photos make them look even more spectacular! It's great you are keeping the rarer breeds. I should mention the bird in the bottom of the top photo is not a meat bird, he's a racer. He's actually a big fella himself, I should have tried to get a little fantail or someone to pose then you could see how big these guys are. I weighed a few of the newbies and they are between 500k-1kg, the lightest being hens that are not yet fully grown. Most are 800g-1kg. Surprised Judith had problems with cats if hers were much like these, as they are relatively good fliers, not like the racers but they can take care of themselves. I've not lost a bird that can fly to cats round here although if they get into the loft the squabs are history. Maybe the local cats are just wimps! I dont suppose you know of anyone around Christchurch selling such beauties? I used to have a breed called a Runt while living in Australia. Big, bold and beautiful. They would take on a chook if it got in the way! Im having alot of trouble finding big breeds over here so if you know of anyone.......? You should go to some of the poultry shows in your area and ask some of the pigeon breeders. Have a look at the link. 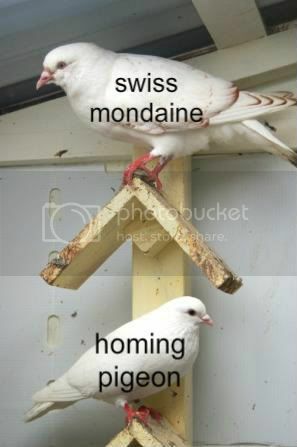 At the bottom you will find a list of pigeon breeds we have here in NZ. Hi madaussie and welcome to PC. Yes, we have two breeders of large pigeons near Christchurch. If you pm me I'll pass on contact details. thanks, will do. 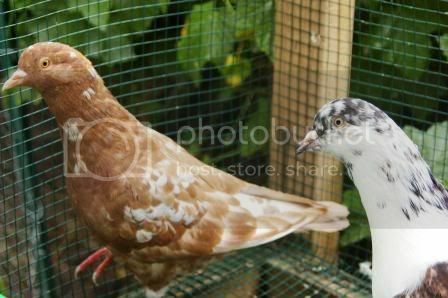 I went to a show in Christchurch and saw a few big breeds but wasn't sure if it would be considered rude asking about buying birds while there. No, it's not rude to ask about buying birds. Just don't expect anyone to sell you the birds from the show pen. I am looking for heavy breeds too. So I was trying to contact to Marina to ask breeders contacts near chch.